We all use headphones rather it be for listening to music, playing games or chatting online and I want to tell you about some really cool ones I found from iHome FreedomGlow iB37 with detailed audio in cushioned comfort with cool color changing effects. 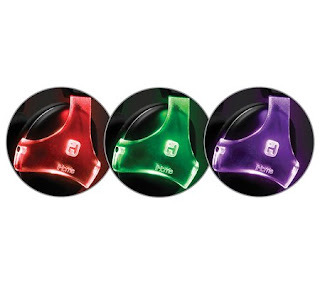 Color modes include color spectrum, favorite color, strobe to the beat, and color pulse. iHome padded headband and ear cushions make extended listening pleasure, Adjustable headband for a perfect fit, Built-in mic allows you to answer and end calls and an in-line remote control puts track control, play/pause, answer/end calls and volume control within easy reach. My Opinion: I really like these as the court does not tangle up like my current headphones. I like the rich detailed audio in the color change of these along with Bluetooth for wireless use and you also have a Mic to talk to other gamers. These will be great for my nephews for Christmas as they all play video games and talk to each other online.